KIDSTOP provides a number of nationally proven programs through Boys & Girls Clubs of America. Project Learn was developed to engage young people in learning, encourage them to succeed in school and help them become lifelong learners. Power Hour provides members with the support, resources and guidance necessary to complete their homework – and start the school day with a sense of confidence and ability. Summer Brain Gain is six weeks of fun, theme-based activities designed to mitigate summer learning loss for early and upper elementary, middle, and high school youth. Each Common Core aligned learning module provides engaging project-based activities, with an emphasis on math, literacy, and 21st century skills. Summer Brain Gain: READ offers six weeks of literacy programming, introducing members to new books and engaging activities supportive of literacy skill development. Goals for Graduation introduces academic goal-setting to Club members by linking their future aspirations with concrete actions today. In a variety of one-on-one small-group and large-group sessions with Club youth development professionals, members set achievable “Know I Can” goals, more challenging “Think I Can” goals and yearly “Believe I Can” goals. Members create an action plan with daily and weekly goals leading to short- and long-term academic gains. 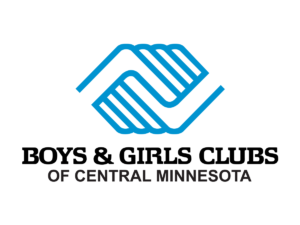 Triple Play: A Game Plan for the Mind, Body and Soul is a program of the Boys & Girls Clubs of Central Minnesota designed to demonstrate how eating smart, keeping fit and forming positive relationships add up to a healthy lifestyle for Club member ages 5-18. Sports, fitness and recreation programs are designed to get members up and active through daily challenges, games and tournaments to strengthen their body. Additionally, sports leadership Clubs allow teens to develop leadership skills and focus on community service and volunteerism. They learn that healthy eating choices, combined with an active lifestyle are the recipe for improving one’s overall well-being. SMART Moves (Skills Mastery and Resistance Training) is a nationally acclaimed comprehensive prevention program that features interactive, small-group activities designed to increase participants’ peer support, enhance life skills, build resiliency and strengthen leadership skills. SMART Kids, ages 6-9, focuses on building self-esteem, positive social skills and the skills to avoid drugs and other harmful influences. Start SMART, ages 10-12, presents information and skills needed to resist pressures to get involved in alcohol, tobacco, other drugs or sexual activity. Group members analyze influences from the media and from peers; they also practice resisting peer pressure. The ImageMakers National Photography Program is designed to help members go beyond snapshots and develop skills to take photographs that can really impact the viewer. For some youth, photography opens a door to creative self-expression that no other art form allows. Others may discover a career path. Boys & Girls Clubs of Central Minnesota holds a local exhibit annually at Crossroads Center featuring photography from members at our 18 locations. Selected pieces move on to a regional and national exhibit. The National Fine Arts Exhibit features the categories of watercolor, pastels, oil and acrylic paint, printmaking, collage, mixed media, colored pencil, monochromatic and group project. Boys & Girls Clubs of Central Minnesota holds a local exhibit annually at Crossroads Center featuring fine art from members at our 18 locations. Selected pieces move on to a regional and national exhibit through Boys & Girls Clubs of America.